With an overall record of 8-22 in 2017, the Youngstown State University volleyball team is determined for a much-improved 2018 campaign under Aline Scott, new head coach for the Penguins. Scott takes over for Mark Hardaway, who spent six years as head coach of Youngstown State before stepping down following the 2017 season. The new YSU coach is no stranger when it comes to leadership on the court, spending the past three seasons as the head coach of Hiram College’s volleyball program. She was also the head coach of the Indiana University of Pennsylvania Crimson Hawks, as well as an assistant coach with the University of Akron Zips for five years. Scott, a native of Brazil, has been living in the Youngstown area since she started with the Zips program. Watching the Penguins volleyball program over the years, she believes this team can be great with a new sense of direction. “The first thing we focused on was creating the right kind of culture. We are getting better every day, looking for small wins,” Scott said. The “small wins” have come during the offseason, one in which players had to adjust to a new coaching staff. Despite the changes, Scott believes her team is responding well. “Change is hard, but I think once they realized that this wasn’t going to be the same, they’ve kind of run with it. They are a hard-working bunch,” she said. The season begins on Aug. 24 in Lewisburg, Pennsylvania with a matchup against the St. Peter’s University as part of the preseason Bucknell Invitational tournament. The team’s first 16 matches take place away from the Beeghly Center. The long road trip includes four preseason tournaments: the Bucknell Invitational, Duquesne Invitational, Jefferson Cup (Charlottesville, Va.), and the Akron Zips Invitational. 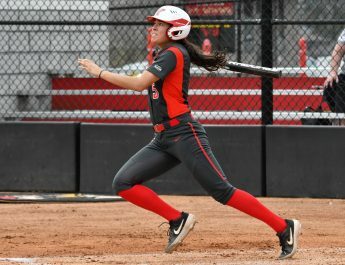 Horizon League play follows for YSU with two more road games against Cleveland State University on Sept. 21, followed by Oakland University on Sept. 22.
opener is scheduled for Sept. 28 against Wright State University, a team that finished eighth in the Horizon League during 2017, and held a conference record of 5-11. However, two of those five wins came against the Penguins, sweeping the season series from Youngstown State 3-1, and 3-0, respectively. YSU finished with a conference record of 1-15, respectively. With such a long stretch of road games to start the new season, defense and stamina will need to be priorities every night if the Penguins want to be successful. “We’ve talked a lot about this. I think for us this year, it’s going to be defensive relentlessness,” Scott said. The Penguins will also be without Libbie Darling, sophomore setter, to begin the season due to a knee injury suffered during a match last year. 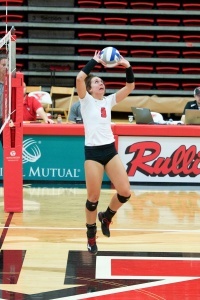 Darling led the team with over five assists per set and started 20 matches for YSU in 2017. Despite an underachieving season last year, injuries, and a lot of changes in the offseason, players remain optimistic and will continue rally around each other this fall. “I’m really excited to see what we can do,” Morgan Tippie, a fifth-year senior middle blocker, said. Having spent her entire collegiate career at Youngstown State, Tippie can sense the changes that have been made, and it’s a testament to her new head coach. On the opposite side of the spectrum, Alexia Byrnes, a redshirt freshman, spent 2017 with the University of Louisville. She knows she can rely on her team as she adjusts to life in Youngstown. The thought of having a team the community and student body can get behind is motivation enough for Aline Scott. A new-found team chemistry and sense of opportunity has dominated the offseason for the Youngstown State volleyball program. With the season two days away, coach Scott can’t set anything in stone, however she can be sure of something. “I can never guarantee a win, but this is a team that’s going to fight and hustle,” Scott said. The characteristics of her players backs the consistent effort that Scott wants to see on the court on a daily basis. Being one of the largest aspects of the sport, it bodes well for the Penguins that effort is a staple in a new program looking to change the narrative of Youngstown State volleyball in 2018.